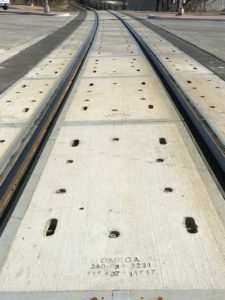 Custom concrete panels supplied for curved track crossing on Texas transit project. Omega’s engineering team worked closely with rail contractor and transit agency to ensure proper fit for this application. Panels were built in Sherman, TX at one of Omega’s 5 manufacturing plants.